Pegasus Gateway Motels is the gateway to many attractions including the new Pegasus town and the Waipara Valley – Canterbury's finest wine region. Close to the Alpine Pacific Triangle with a diverse range of activities close by, from horse treks to trout and salmon fishing, jet boating, mountain biking and beaches – you can even enjoy a day trip to the famous Hanmer Springs Thermal Pools. Only 5 minutes to Rangiora, Kaiapoi and Pegasus townships and golf courses, and on the main arterial route to Christchurch International Airport, just 20 minutes away. Whether you want sport and recreation, leisure and dining, or just peace and quiet, Pegasus Gateway Motels is designed for you. With broadband internet, LCD TVs and DVD players and a convenient location adjacent to a restaurant and hotel, you can holiday as you please. 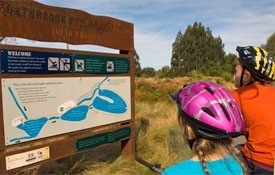 The walking and cycling tracks in the Waimakariri will take you from the rivers, to the coastline of wide sandy beaches, through townships and to the lush foothill forests nestled below the mountains. The Waimakariri's Walking & Cycling Guide features over 50 tracks which are suitable for all levels of fitness. Contact the Kaiapoi i-SITE Visitor Centre for a copy of the guide. 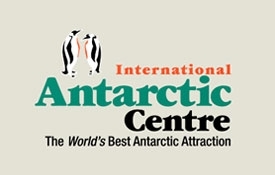 One of New Zealand's best tourist attractions, the International Antarctic Centre near Christchurch airport provides visitors of all ages with an interactive, fun and exciting experience of Antarctica. You'll visit 'Antarctica' the snow and ice experience, learn about life in modern day Antarctica and Scott Base, and hang out with Little Blue Penguins! There's also the famously exciting Hagglund ride and an awesome simulated 4D cruise, Happy Feet 4D, plus heaps more! 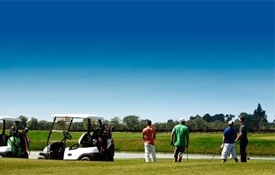 The Pegasus Golf Course is a par 72, 18-hole championship golf course. Every tee boasts stunning views and all levels of golfers will enjoy this excellent challenge and course. At the end of the round enjoy a refreshment or food at the Bunker Bar Café. There is a state-of-the-art driving range available on site which features eight covered and eight uncovered bays, automated tee-up systems and a putting and chipping green.